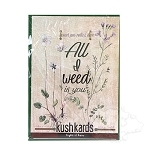 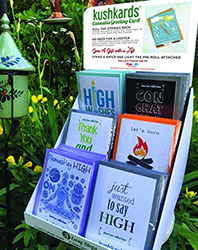 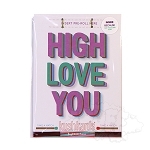 Kushkards are colorful, clever, fun, and unique greeting cards for the cannabis enthusiast. 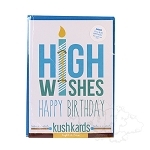 In our technology driven world, people have an even greater appreciation for thoughtful handwritten tokens of love and appreciation, making Kushkards the perfect present. 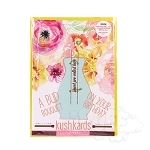 Kushkards are different from your everyday store bought variety, especially since they always have what you need—a unique spot on each card to insert a pre-rolled item of your choosing and a complimentary match striker located on the bottom (that can be repeatedly used, btw). 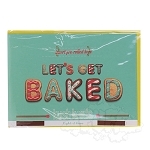 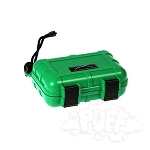 The recipient of your Kushkard will never have to search for a lighter to enjoy their treat! 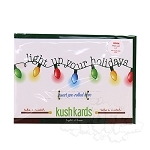 Buy any 48 Kushkards and receive a display (while supplies last). 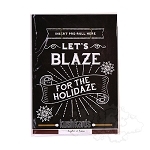 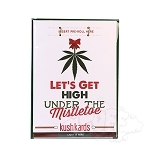 Kush Cards "All I Weed Is You"
Kush Cards "Let's Get Baked"
Kush Cards "Let's Blaze For The Holidaze"
Kush Cards "High Love You"
Kush Cards "Ho Ho High"
Kush Cards "Light Up Your Holidays"
Kush Cards "I Like The Way You Roll"
Kush Cards "Let's Get High Under The Mistletoe"
Kush Cards "Under The Weather"